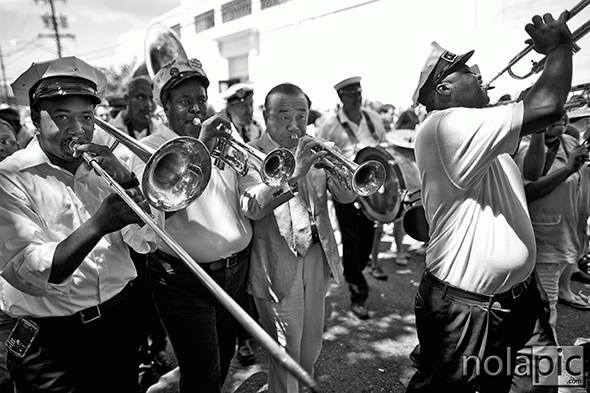 This is the second time that I have attended and shot the Satchmo Jazz Mass at the St. Augustine Church in Treme. 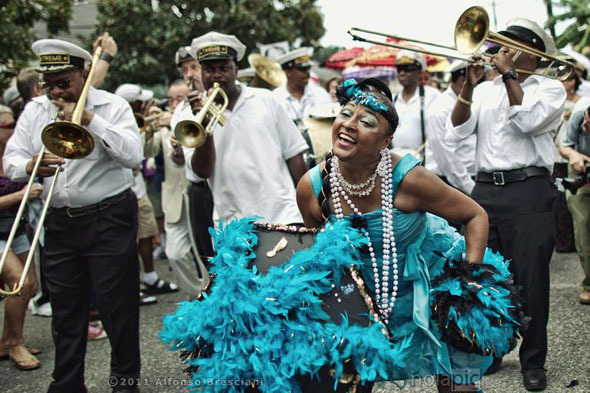 The event is part of the annual Satchmo Summerfest which is held every year at the old US Mint on Esplanade Ave. in New Orleans. 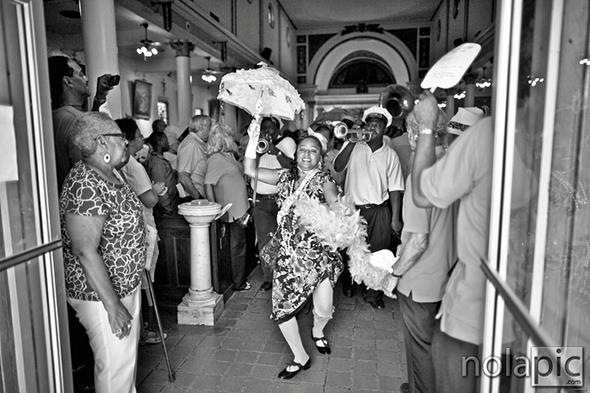 To be perfectly clear last year I didn’t actually attend “all the way”, since I wasn’t expecting the church to be so crowded so early, I ended up getting there a bit too late to get in, so I was stuck outside waiting for the function to end so I could shoot the second line! 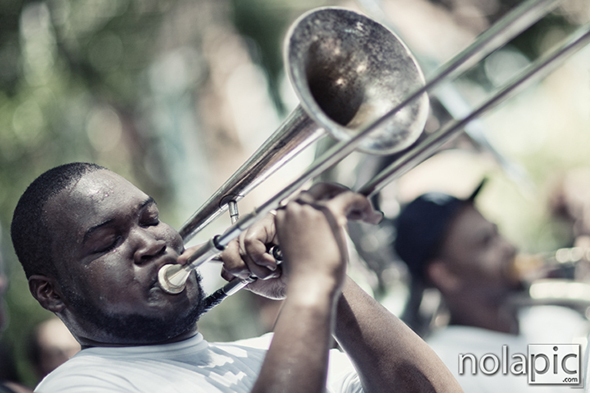 As many of you know, Louis “Satchmo” Armstrong was a native New Orleanian, and that is the reason why we celebrate his birthday with a Jazz Mass, second lines and music, (lots of it) . 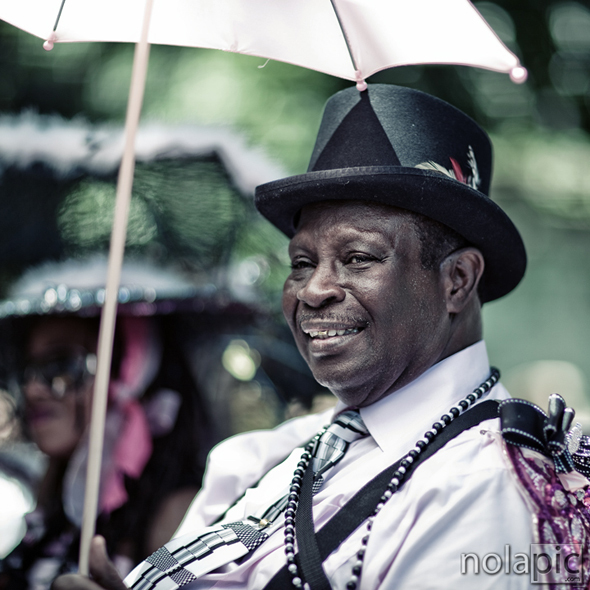 To see more pictures from the 2011 Satchmo Summerfest are here. Getting up “very” early allowed me to position myself close the brass band, on the exact side of the church where I had planned to be on…Actually when I got there, St. Augustine Church was still closed :). I’m pretty satisfied with the photos, hard work always pays off! 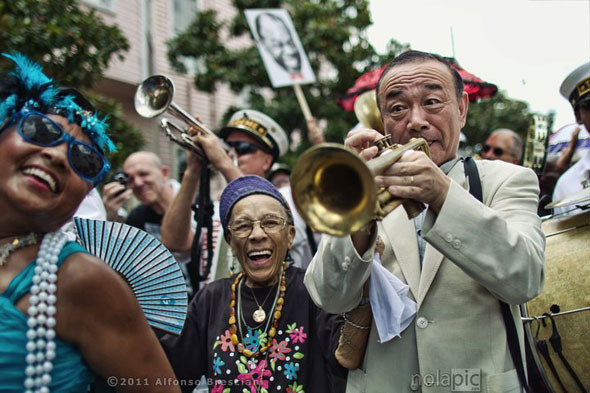 On Sunday August 8th, as part of the 2010 Satchmo Summerfest, held every year in New Orleans to celebrate the life, music and legacy of New Orleans’ native son, Louis “Satchmo” Armstrong, I had the privilege to attend and photograph another great event! 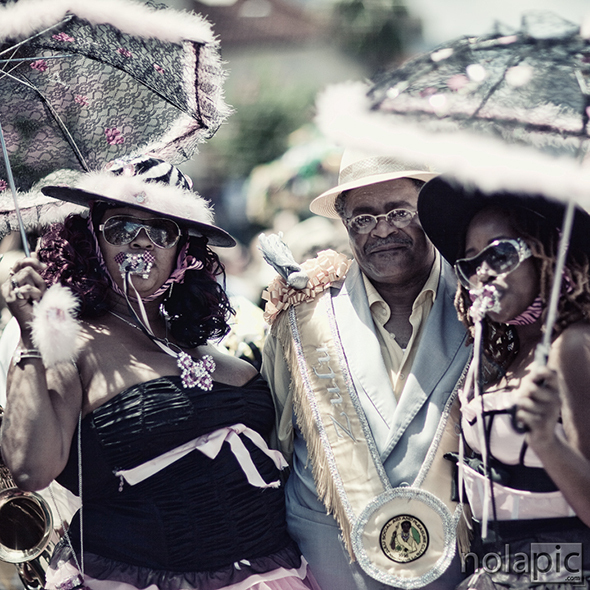 Although the weather was 99F with heat index as high as 105F to 110F, after the parade started, everyone seemed to enjoy the second line and music as usual and forget how hot and miserable it was. 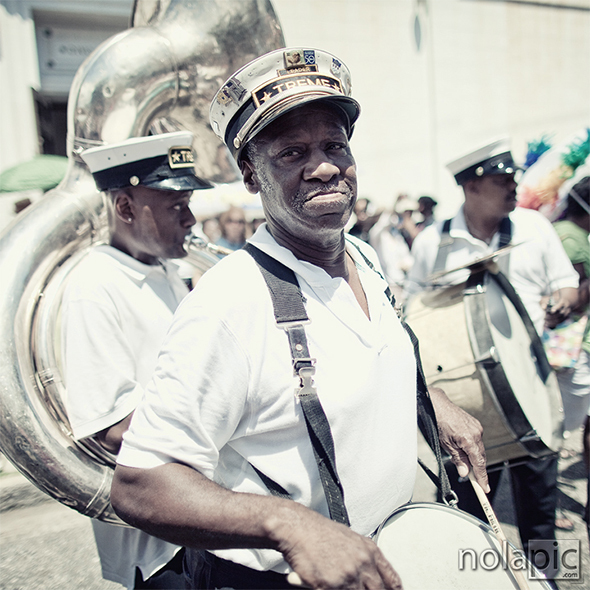 Someone said once…If you don’t know why New Orleanians aren’t afraid to go to Hell, you never been down there in the middle of the summer! 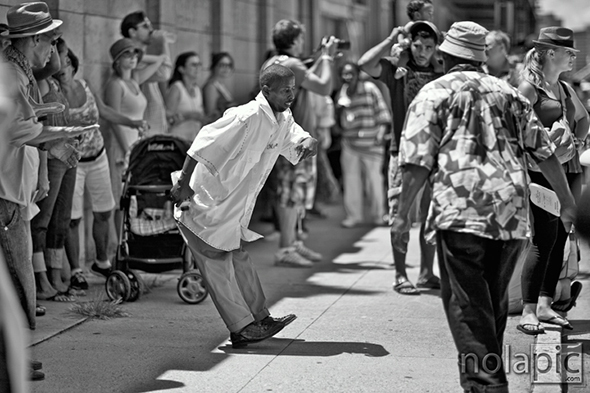 Please see some of the images I shot at the second line and do not forget that all comments are highly appreciated! 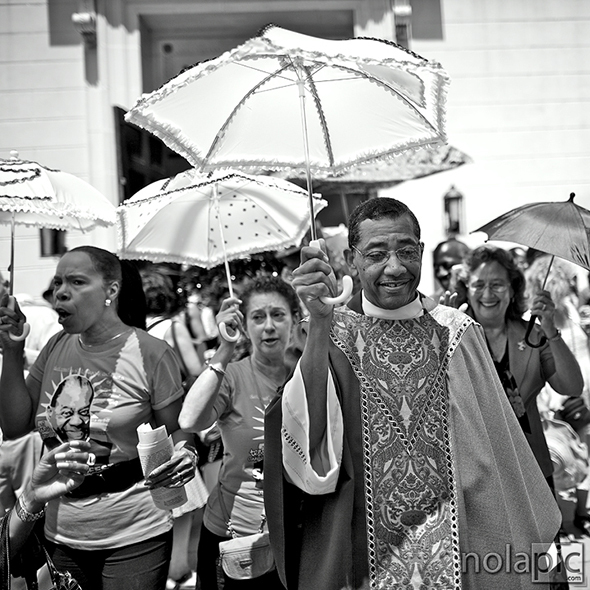 These images and many more are available as fine art prints (also framed) at my other site nolaPIC.com. I will make sure next year to be there in time at 10 AM for the Jazz Mass, since this year I have only caught the end of it and I wished so bad I made it in…The church was packed!!! 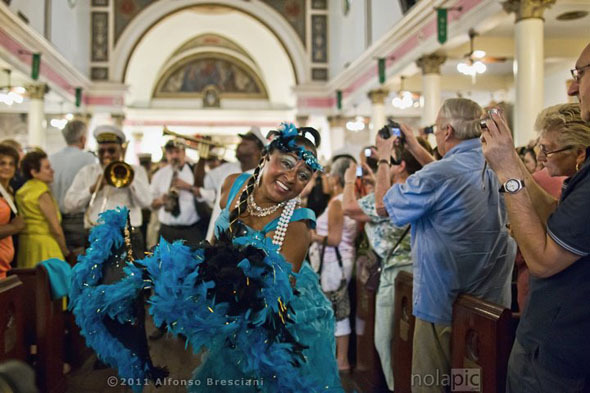 See the video below it’s the very end of the Satchmo Jazz Mass right before I sshot the image above of Jennifer Jones leading the Second Line out of the church. 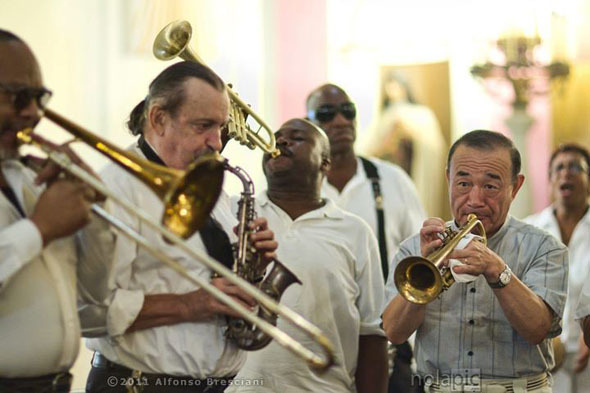 Video shot by Ricky Riccardi a Louis “Satchmo” Armstrong aficionado.